Benjamin Jonson (11 June 1572 – 6 August 1637) was an English Renaissance dramatist, poet and actor, most famous for his plays Volpone and The Alchemist, his lyrics, his influence on Jacobean and Caroline poets, his theory of humours, his contentious personality, and his friendship and rivalry with William Shakespeare. Since nature's pride is now, a withered daffodil. The world knows only two, — that's Rome and I.
Stout of teeth and strong of tongue? Tart of palate, quick of ear? Sharp of sight, of nostril clear? Moist of hand and light of foot? Here's a medicine for the nones. As you were going to a feast. Thou look'st like Antichrist in that lewd hat. Not at his picture, but his book. Doth her mighty brother run. Epitaph on the Countess of Pembroke, reported in Bartlett's Familiar Quotations, 10th ed. (1919). This epitaph is generally ascribed to Ben Jonson. It appears in the editions of his Works; but in a manuscript collection of Browne's poems preserved amongst the Lansdowne MS. No. 777, in the British Museum, it is ascribed to Browne, and awarded to him by Sir Egerton Brydges in his edition of Browne's poems. Hails me so solemnly to yonder yew? Elegy on the Lady Jane Pawlet, reported in Bartlett's Familiar Quotations, 10th ed. (1919); comparable to "What beckoning ghost along the moonlight shade / Invites my steps, and points to yonder glade? ", Alexander Pope, in To the Memory of an Unfortunate Lady. It was a mighty while ago. Act i, Scene 3. Comparable to "Hang sorrow! care will kill a cat", George Wither, "Poem on Christmas"
In the meantime, to all suits, to all entreaties, to all letters, to all tricks, I will be deaf as an adder, blind as a beetle, lay mine ear to the ground, and lock mine eyes i' my hand against all temptations. Shows of the resurrection little trust. Farewell, thou child of my right hand, and joy! Through which our merit leads us to our meeds. And hath it in his powers, to make his way! For good men but see death, the wicked taste it. Song, To Celia, lines 1-10. Song, To Celia, lines 1-16; this poem was inspired by "Letter XXIV" of Philostratus, which in translation reads: "Drink to me with your eyes alone…. And if you will, take the cup to your lips and fill it with kisses, and give it so to me". And her black spite expel. Epistle to Elizabeth, Countess of Rutland, lines 1-2. Comparable to "The flattering, mighty, nay, almighty gold", John Wolcot, To Kien Long, Ode iv; "Almighty dollar", Washington Irving, The Creole Village. Or sporting Kyd, or Marlow's mighty line. As, since she will vouchsafe no other wit. That so did take Eliza, and our James. And despairs day, but for thy volumes light. That eats on wits and arts, and oft destroys them both. XLVII, An Epistle, Answering to One That Asked to Be Sealed of the Tribe of Ben, lines 9-10. Comparable to: "They never taste who always drink; They always talk who never think", Matthew Prior, Upon a passage in the Scaligerana. Opinion is a light, vain, crude, and imperfect thing. It is as great a spite to be praised in the wrong place, and by a wrong person, as can be done to a noble nature. A cripple in the way out-travels a footman or a post out of the way. Folly often goes beyond her bounds; but Impudence knows none. I loved the man and do honor his memory, on this side idolatry, as much as any. Though the most be players, some must be spectators. One, though he be excellent and the chief, is not to be imitated alone; for never no imitator ever grew up to his author; likeness is always on this side truth. Yet there happened in my time one noble speaker, who was full of gravity in his speaking; his language (where he could spare or pass by a jest) was nobly censorious. No man ever spake more neatly, more pressly, more weightily, or suffered less emptiness, less idleness, in what he uttered. No member of his speech but consisted of his own graces. His hearers could not cough, or look aside from him, without loss. He commanded where he spoke, and had his judges angry and pleased at his devotion. No man had their affections more in his power. The fear of every man that heard him was lest he should make an end. Lady: How do's it fit? wilt come together? Prudence: Hardly. Lad: Thou must make shift with it. Pride feels no Pain. Virtue is never aided by a vice. In the winter of 1618–1619, Jonson made a walking tour of England and Scotland. At one point he spent two weeks as a guest of author William Drummond of Hawthornden. Jonson's often contentious talk was recorded in notes by Drummond, who quoted Jonson in third-person form. He cursed Petrarch for redacting verses to sonnets, which he said were like that tyrant's bed, where some who were too short were racked, others too long cut short. That Donne himself, for not being understood, would perish. Shakespeare, in a play, brought in a number of men saying they had suffered shipwreck in Bohemia, where there is no sea by some 100 miles. He saw in a vision his eldest son (then a child and at London) appear unto him with the mark of a bloody cross on his forehead, as if it had been cutted with a sword, at which amazed he prayed unto God, and in the morning he came to Mr. Camden's chamber to tell him, who persuaded him it was but an apprehension of his fantasy at which he should not be disjected; in the meantime comes there letters from his wife of the death of that boy in the plague. He appeared to him (he said) of a manly shape, and of that growth that he thinks he shall be at the resurrection. He hath consumed a whole night in lying looking to his great toe, about which he hath seen Tartars and Turks, Romans and Carthaginians, fight in his imagination. That he wrote all his first in prose, for so his master Camden had learned him. That verses stood by sense without either colours or accent; which yet other times he denied. Of fair Penelope, Ulysses' queen? Of fair Penelope, Ulysses' queen. When Ben Jonson presented a masque entitled "News from the New World," his new world was not the newly found continent of North America, but the new world of science, the world revealed by the telescope of Galileo. 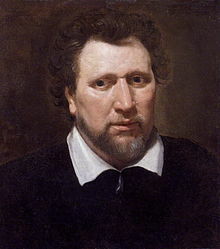 Those who have most deeply studied Jonson and most truly felt his power, will hesitate the longest before pronouncing a decisive judgment on the place he occupies among the foremost poets of our literature. One thing, however, can be considered as certain in any estimate which we may form. His throne is not with the Olympians but with the Titans; not with those who share the divine gifts of creative imagination and inevitable instinct, but with those who compel our admiration by their untiring energy and giant strength of intellectual muscle. What we most marvel at in his writings, is the prodigious brain-work of the man, the stuff of constant and inexhaustible cerebration they contain. Moreover, we shall not be far wrong in saying that, of all the English poets of the past, he alone, with Milton and Gray, deserves the name of a great and widely learned scholar. To make a proper estimation of his merits as a dramatic writer, we are to consider what was the state of the drama and the usual practice of the stage-writers in those early times; and what alterations and improvements it received from the plays of Jonson. Shakespear, and Beaumont and Fletcher, are the only contemporary writers that can be put in competition with him; and as they have excellencies of genius superior to those of Jonson, they have weaknesses and defects which are proportionably greater. If they transcend him in the creative powers, and the astonishing flights of imagination, their judgment is much inferior to his; and if he doth not at any time rise so high, neither perhaps doth he sink so low as they have done.